Freedom Super XV Foamer | Lafferty Equipment Manufacturing, Inc. The Freedom Super XV Foamer is an extra high volume foam applicator that projects pre-diluted or neat chemicals at distances up to 40 feet. 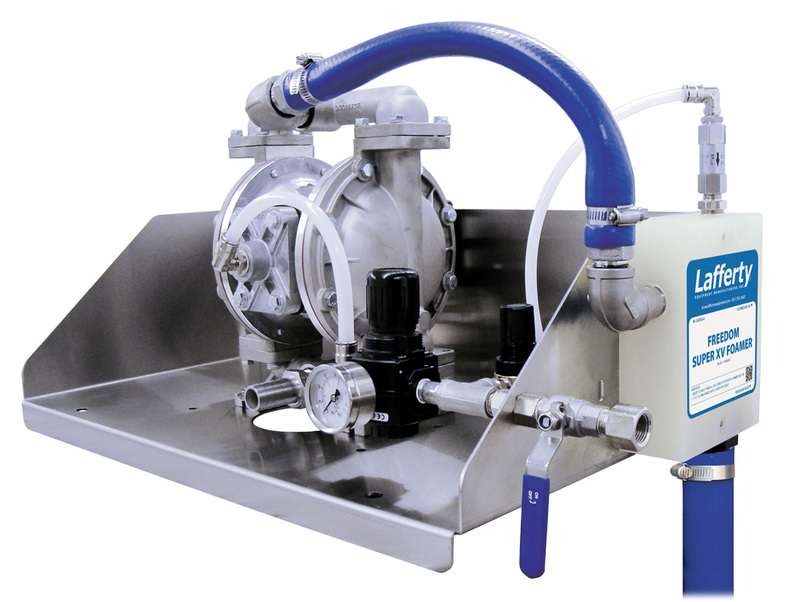 A stainless steel 1" compressed-air-operated pump, with Santoprene diaphragms, is used to draw chemical from a nearby container. Compressed air is injected into the solution to greatly increase volume and coverage ability. An incredible volume of rich clinging foam is projected through the 100' hose and zero degree nozzle.